The winter CAKEW5 Pro knee warmers offer more protection and warmth than the CAKE5 Pro model. 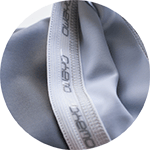 They are produced from high quality, moisture wicking materials. 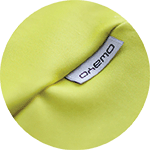 A silicone gripper in the upper hem ensures that they do not slide down. The CAKEW5 Pro are made of highly elastic warming material that will help protect your knee from the elements. They feature a silicone gripper in the hem to stop these sliding down.